Large Dehumidifier or Heavy Duty Dehumidifier -Remove excess moisture from your environment with our range of high performance large dehumidifiers from Flexiheat UK. 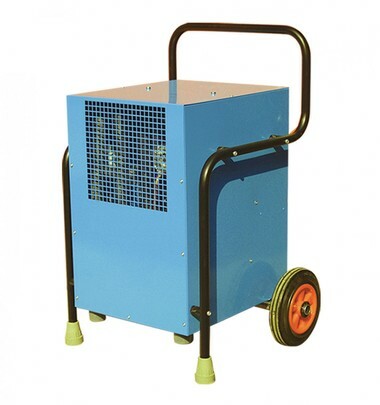 Designed specifically for Industrial or commercial use, this large dehumidifier range works quietly and efficiently to trap water coming from the air with minimum fuss and outstanding results. There are numerous benefits and advantages to getting a heavy duty dehumidifier in your , basement, garage, building site, or office space. Dehumidifiers can reduce humidity levels significantly, making your premises less hospitable to allergens such as dust mites, mould, and mildew. Dehumidifiers help reduce odours that can accompany mould and mildew in your home—getting rid of that “musty” or “rotting” smell. A Dehumidifier helps to reduce the possibility that you will develop mould on your clothing, furniture, and other linens (such as curtains or bed sheets). Dehumidifiers help reduce irritation to your skin and, your respiratory system allowing you to breathe much easier and feel more comfortable in your home. A dehumidifier helps reduce dust in your office or warehouse, so you won’t have to clean as often. A dehumidifier can also decrease energy costs. If you have an air conditioning unit, then having a dehumidifier will help it run more efficiently. When the air in your premises is more humid, the air conditioner must do the function of cooling the air and removing moisture, which means it, has to work harder. This also causes your air conditioner to wear out sooner, meaning you will need to replace and repair it more often. When Do I need a Large Dehumidifier? The Flexiheat range of large capacity dehumidifiers combine very large extraction rates with high quality materials to give industry leading performance. These rugged and reliable units use tough steel bodies and powder coated finishes to take the knocks associated with regular site use while the reduced size and weight help you maximize transport and storage space. 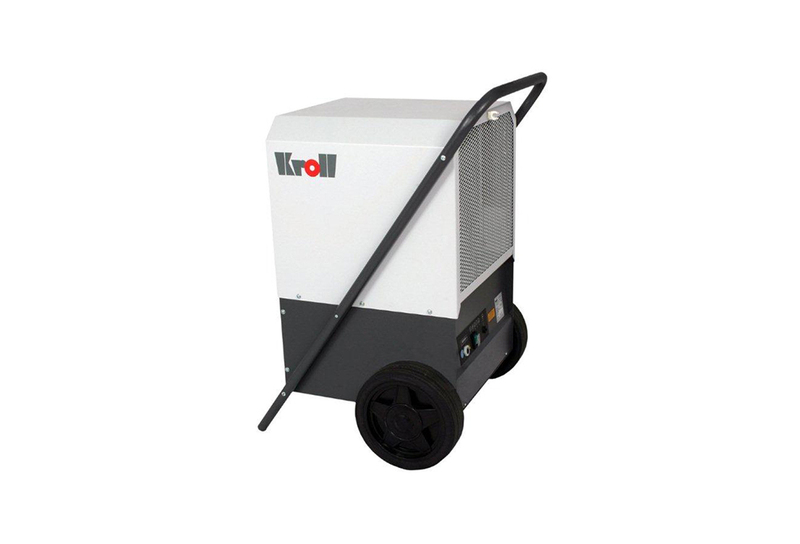 With their unrivaled versatility our range of heavy duty dehumidifiers are a popular choice throughout the hire and flood restoration industries where they help reduce the speed up drying times and reduce water damage. Available in either dual voltage or 230V only we also offer a full range of accessories including hour counters, condensate pumps and humidistat / hygrostat. 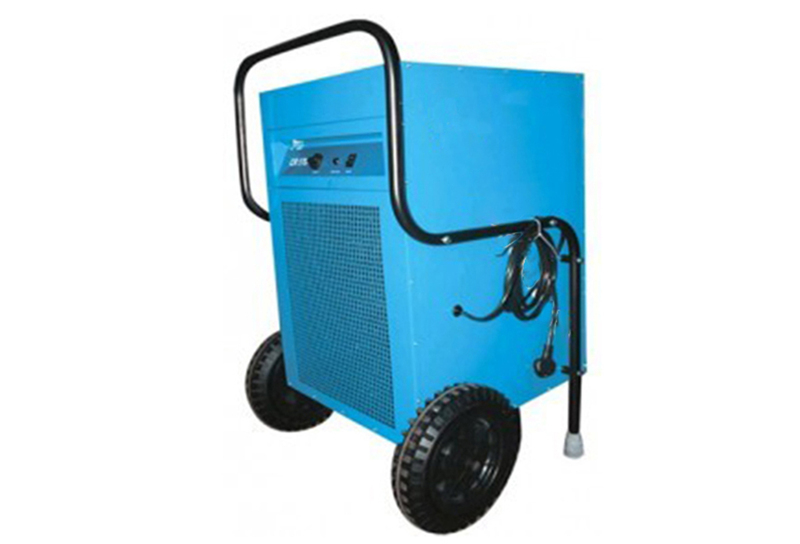 A compact heavy duty and large dehumidifier ideal for site or flood restoration use. The rugged and reliable Flexiheat FR40 model has been designed to maximize storage and transport space and is also available in dual voltage, with a host of accessories including hygrostat / humidistat, condensate pump and hours counter available. 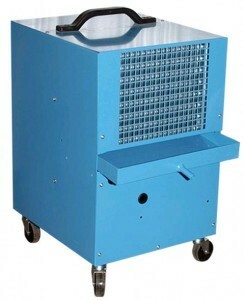 A large volume heavy duty dehumidifier ideal for site or flood restoration use. The rugged and reliable Flexiheat “FR70” steel case is built to withstand the rigours of daily site use and it is also available in dual voltage along with accessories including condensate pump, humidistat and hour counter. Our Largest dehumidifier is built tough for use on building sites and in large volume applications whilst still being fully portable. The dual voltage Flexiheat “FR170” dehumidifier comes with humidistat, condensate pump and hour counter as standard. So whether you call these units a – large capacity dehumidifier, dehumidifier large, dehumidifier heavy duty, or heavy duty dehumidifiers , we just like to say that we have the best large dehumidifier for sale to suit your needs !